Putting together a functional and stylish nursery might seem like a daunting proposition, especially when you’re still adjusting to pregnancy or focused on making plans for your baby’s birth. Luckily, we’ve got your back (and some great advice on how to get the nursery right!). We’ve skipped ahead and crafted a helpful cheat sheet to get your preparation started and make those decorating decisions a little easier. We’ve gone heavy on practicality and light on fluff. In other words, we’ve forged the perfect nursery must-have list for clever, expectant mums and dads. Once you’ve got the basics sorted – your baby’s cot, changing table and storage – here’s a few other bits and bobs to consider for your bub. 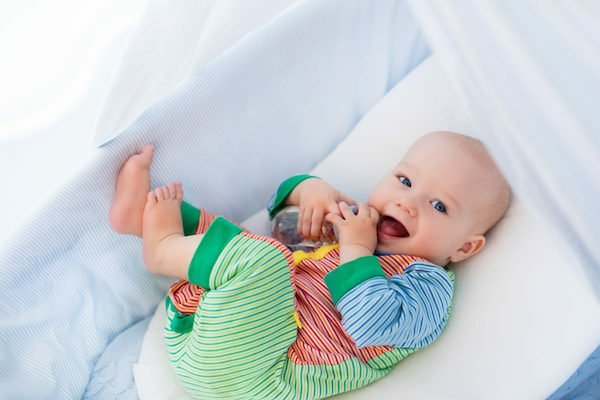 The right equipment is worth the money – and will make those early days as relaxed and enjoyable as possible and help ensure your baby is content, comfy and cosy too! A monitor is a great addition to any nursery, and a video monitor is the creme de la creme of baby spy equipment! 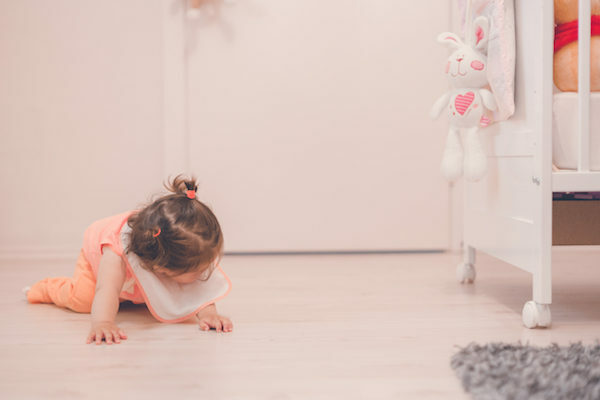 Not only does a video monitor offer you the peace of mind that hearing your baby’s contented sleepy snuffles can bring, but as they grow you can also see what your little one’s up to, behind closed doors. These days you can get all kinds of fancy gadgetry that works on your wifi too! Your baby will be happy as a lark during that often-fraught bath to nursery dash if you’re the sort of clever parent who invests in a cosy hooded towel. Your little one will be dry and ready to dress in record time, and they’ll be snug as a bug in a rug, too! You only have to be a parent for a day to realise that not all nappies are created equal! So it makes sense to get the right nappy for your baby. Huggies Ultimate nappies are Huggies’ most breathable and softest nappies to date, and they’re a must-have in the best-equipped nursery stakes. They have all the trusty leakage protection you’d expect from a Huggies nappy plus a wetness indicator and a unique DryTouch layer to keep your baby comfy and content. And of course, if you’re a devotee of Huggies’ original range of nappies, you can still buy those too. A night light is a great way to light your way during those drowsy night-feeds, providing just enough light to get things done without being too shocking for tired eyes! And beyond those early days, a night light is a useful addition to any child’s bedroom – its warm and comforting glow should encourage drowsiness while still being bright enough to scare away any monsters under the bed. Some clever night lights come equipped with dimmer switches, making them adaptable to all kinds of parent-baby situations, so keep an eye out for one of those. A pretty mobile positioned above your baby’s cot provides a familiar visual focus for your tot as they drift off to sleep, and gives you another decorating option too! Keep in mind that mobiles don’t have to have all the fancy bells and whistles (like music or wind-up movement) – in fact, the most stylish ones are often the simplest too. Most mums and dads spend a significant amount of time in the nursery trying to get children to sleep. A rocking chair is a clever buy, not just because it’s a reliable place to settle an unhappy or sick child, but because it’s a piece you’ll still appreciate long after the newborn days. What better place to snuggle together and read a bedtime story, or even (in years to come) cuddle with your not-so-little child as you hear about their first day of preschool or school? Choose one that appeals to you most of all – chances are you’re going to spend a lot of time there. 7. A wipe warmer to keep little bottoms comfortable! OK, this one might seem like a bit of an extravagance, but can you imagine how you’d feel if someone tidied your delicate bits up with a freezing cold baby wipe? Um. Not good. Baby wipe warmers are not only pretty inexpensive, they avoid that frosty feeling when it’s nappy change time. Babies everywhere are breathing a sigh of relief. Of course, this is just the beginning when it comes to kitting out your baby’s room. Congratulations on your impending new arrival – and have fun getting your nursery just right.